He’s as good as gold – literally – when it comes to the international hockey scene, having won some of the sport’s most high-profile tournaments, including the 2014 Winter Olympics. But Matt Duchene is also a force on NHL ice. In 495 career games, the centre has tallied 156 goals and 377 points. Last year, he reached the 30-goal plateau for the first time. Winter wonderland: The Haliburton Forest and Wildlife Reserve is a perfect place to embark on a dogsledding tour through their extensive forest trails. Winter sports enthusiasts can also enjoy snowshoeing and skiing at Sir Sam’s Ski & Bike. 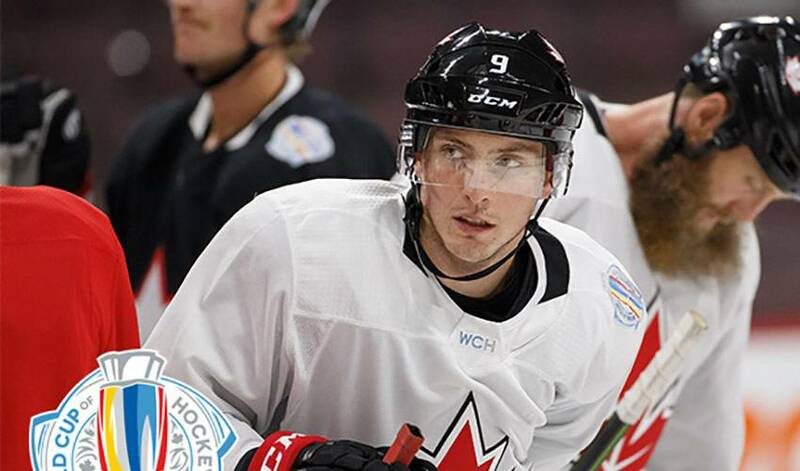 Talented trio: Matt Duchene isn’t the only NHL star born in Haliburton. It’s also the birthplace of Bernie Nicholls (1,127 NHL games) and Ron Stackhouse (889 NHL games). From here to there: The distance from Haliburton to Air Canada Centre is 216 km. Decked out: “There’s nothing quite like kicking back at our cottage and just relaxing. It’s a pretty special place, just the beauty of what you see. Anyone that’s visited our cottage, the first sunset that they see, it just leaves them speechless.